I think Castle Hill is a great light. Perhaps its stubby size combined with its fortress-like appearance gives it an underdog personality; or maybe it's the Newport mystique. Certainly the backdrop is gorgeous. The style has been refered to as "Richardsonian Romanesque," assuming the architect H.H. 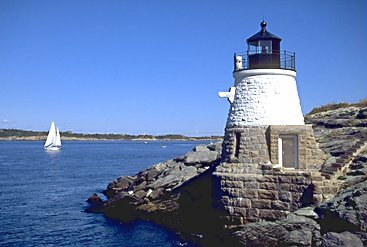 Richardson designed Castle Hill Light. 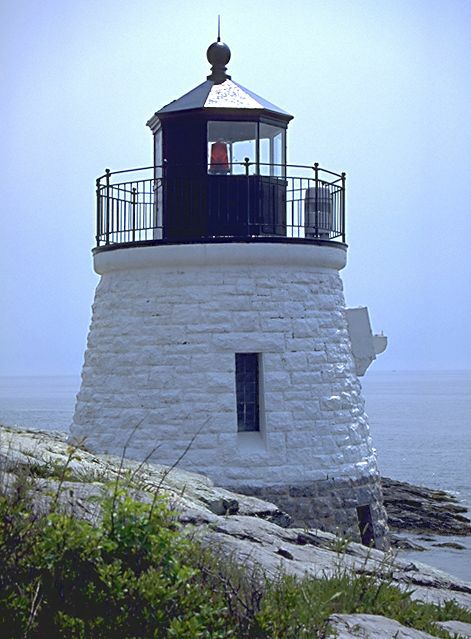 Anyway, the light was built in 1890 to mark the eastern passage of Narragansett Bay. The 34 ft. tower is constructed of granite blocks, with the upper part painted white. 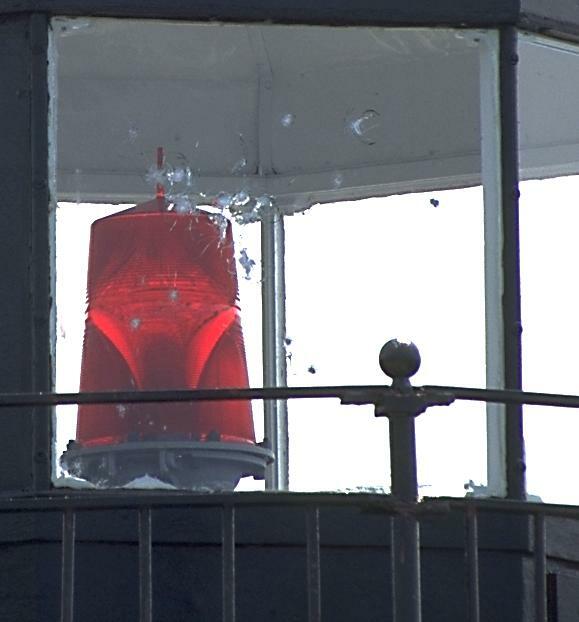 A small fifth-order fresnel lens flashes red. To visit Castle Hill, drive south from Newport along the coast road, past Jackie Kennedy's childood summer estate, Hammersmith Farm, and past the Coast Guard station. There is a road to the right leading to Castle Hill Inn. Just before the Inn is a parking area near a cove. Look for a path to the light over a hill to the left. There are no signs. I revisited Castle Hill in the summer of 1995, and found that the lantern was marred with bullet holes.